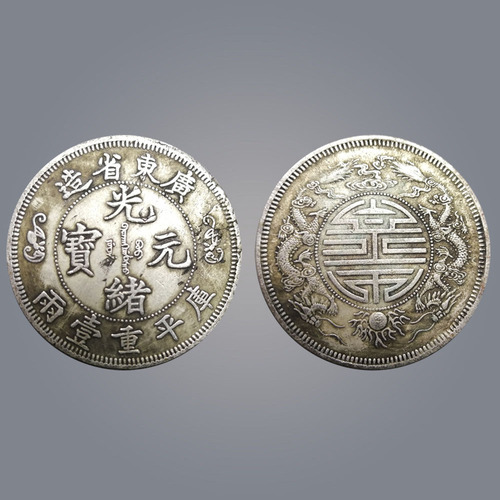 Weight: 34.6g diameter: 4.5cm inside the bead ring is the Chinese character "guangxu ingot", below which is inscribed "kuping double weight". The font is beautiful and elegant.Money back in the middle of the life word, double dragon play pearl body life word, dragon scale carving fine, teng yunjugu;Dragon claw publicity.Thick and beautiful, dignified and elegant, with balanced and stretching structure, it is second to no. 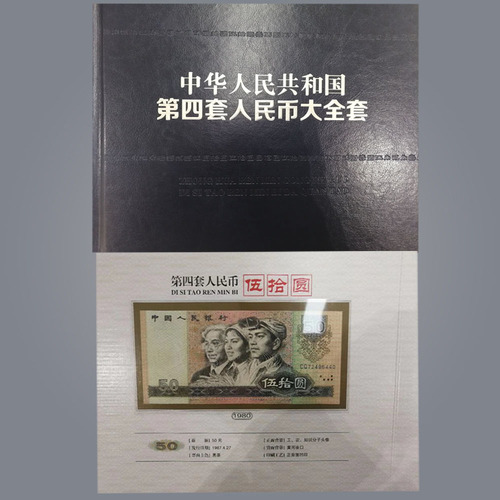 1 in longyang, with extremely high collection value and investment value. 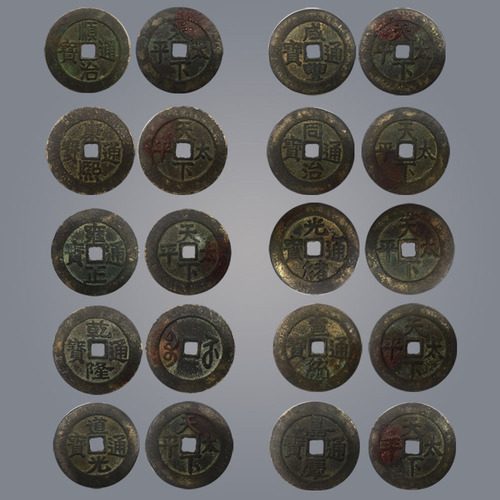 Collection introduction: five baht money weight five baht, on the word "five baht", so the name.Five baht is the longest currency used in China's coin history. There were more than 10 royal dynasties and regimes and more than 20 emperors who cast five baht.Five baht money after 700 years of vicissitudes, well preserved, with a high value of collection and investment value. Introduction of the collection: this group of xining, jiaqing, daoguang wrapped pulp natural pure, at that time baoquan bureau casting circulation is relatively small, the historical significance of academic value is very rare, with a great market space and very high collection value. Collection is introduced: the fourth set of RMB big full set: a collection of the people's bank of China issued by the fourth set of RMB, the face value of one round two, five round 2, round two, wu round three, the two round four, one round 8 zhang, wu Angle of six, two horn five tickets, Angle of 9 pieces, a total of 41 pieces, including 1 pick up round, zhang wu round 2, the two round 2, one round four, three, wu Angle two horn 2 pieces, one round 7 for fluorescent COINS, has a large market space and the very high collection value. 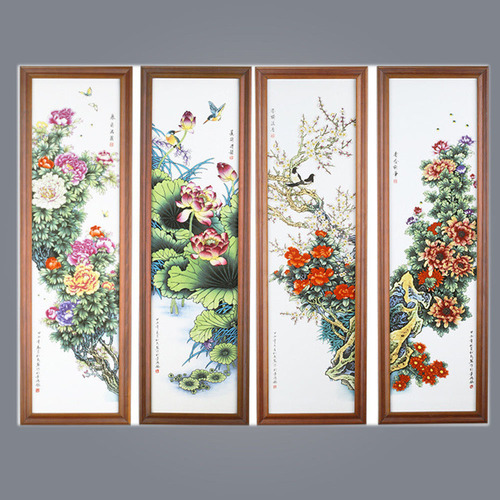 Collection introduction: zhang songmao's "four seasons flowers" porcelain plate four screens, the Chinese arts and crafts master creation, pure hand painted powder enamel large-scale porcelain plate painting, the production difficulty craft extremely complex, the ornamental value and the collection value are extremely high.The overall composition of the four screens of this group of flowers is harmonious and atmospheric, and the interaction between flowers and kungfu birds fully shows the artistic conception of "the leaves vary in length with the color pen, and the flowers open first and second with light wind".Have very big market space and very high collect value. This picture was made in July 1954 when Mr. Fu baoshi was 50 years old and in the prime of his life.Mr. Fu baoshi loves learning all his life. 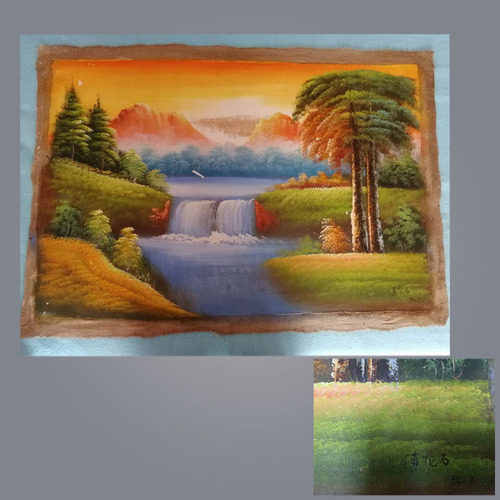 In order to be close to western oil painting and gain fame, the painting style of this oil painting is becoming more and more mature. Its important symbol is the typical form and establishment of the boulting chapping. This picture is high enough to cover the sky. The waterfall runs through the whole picture with "qi".The grass pavilion on the giant rock is rich in the ink of mixed trees, with mixed leaves and branches, in contrast to the mountain rocks stained with light crimson, the viewer seems to be able to hear the sounds of waterfalls and streams.In the caoting, although pinglan yashi is the point scene character, but the description is exquisite, is out of one's mind, has the wonderful.Make the audience I forget, both physically and mentally far.Point out the painting's transcendental realm. 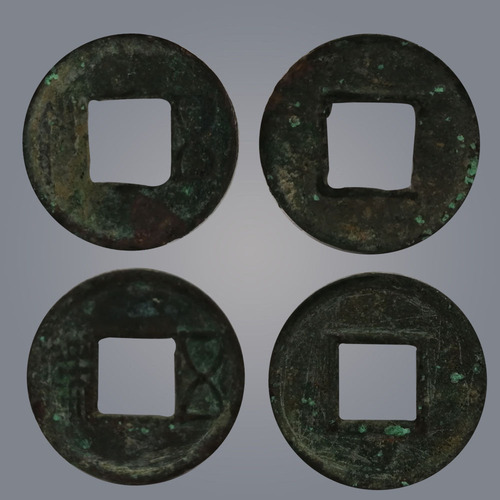 A group of ten COINS: copper COINS are round outside and square inside, outside represents the sky, inside represents the earth, shunzhi, kangxi, yongzheng, qianlong, jiaqing, daoguang, xianfeng, tongzhi, guangxu and xuantong.The ten emperors currency was in the most powerful years of China's national strength. "Day, ground, person" 3 ability have, coin of 10 emperor is cast excellent, current when long, get 'day, ground, person' clever spirit, have the positive energy that changes universe consequently, reason can control curtilage, change evil spirit, avoid evil spirit, reach flourishing money function.In China, it is a custom to tie ten dime COINS together with red ropes and hang them in rooms, shops, cars or on people's bodies to generate wealth and change the fate of the family. It is almost a necessary variety for home life. 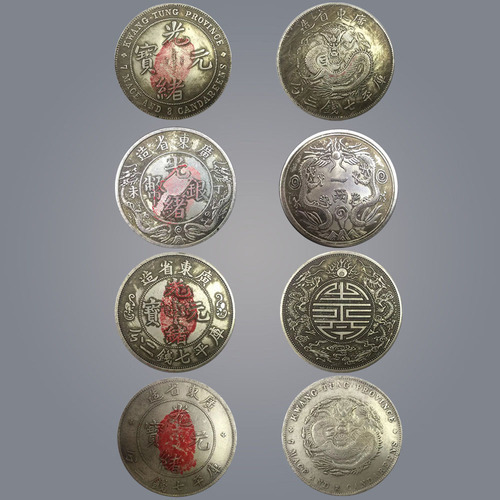 As the concept of ten dime COINS is deeply rooted in people's mind, the demand is growing and the market price of ten dime COINS will also rise gradually.Fine design, elegant font, dignified and neat, natural wear and tear wrapped slurry, good appearance.Has the bigger collection value, the increment, maintains the value the space. 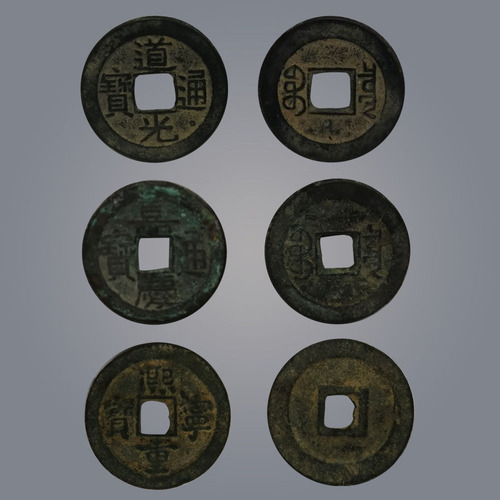 Introduction to the collection: this yuanbao of guangxu dynasty (a group of four pieces) has the characters of drum and convex, the strokes of the brush are round and deep, the side teeth are standard, the ring teeth are raised, the granules are clear, the dragon scale grain is not nihile and sticky, the ground chapter is flat, smooth as the board, it has certain appreciation space and the collection value. This collection zhushan eight friends wang dafan successor, the Chinese ceramic design art master, jiangxi province arts and crafts master wang huaizhi supervised production.Wang huaizhi, born in 1947 in jingdezhen ceramics family, grandfather wang da-fan, one of the founders of the eight friends of zhushan, has been engaged in ceramic creation for more than 50 years. 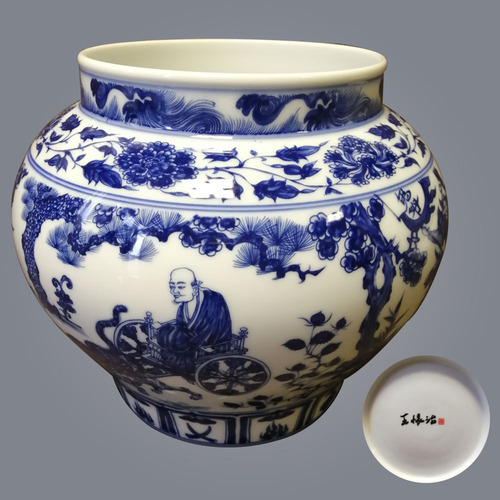 In the ceramic creation, the pursuit of "poetic painting" gives people a higher artistic enjoyment, and has been appreciated and praised by collectors at home and abroad. The porcelain is straight with a short neck and a thick lip. It has a round belly and a wide underside.Draw a ghost valley down the mountain, vivid, delicate, can be called the blue and white treasure.Have certain rise space, collect value huge. Collection introduction: "dragon phoenix chengxiang" heavy industry powder enamel thin tire bowl jingdezhen ceramic artist, master zhang jingshou with son zhang weibang master joint creation design, by the Chinese arts and crafts master li wenyue guidance and supervision, and autograph.Eggshell porcelain is also called "eggshell porcelain" because of its thin shell.Jingdezhen is a famous traditional craft, known as the magic treasures.When the dragon comes, the weather will be favorable and the crops will be plentiful. 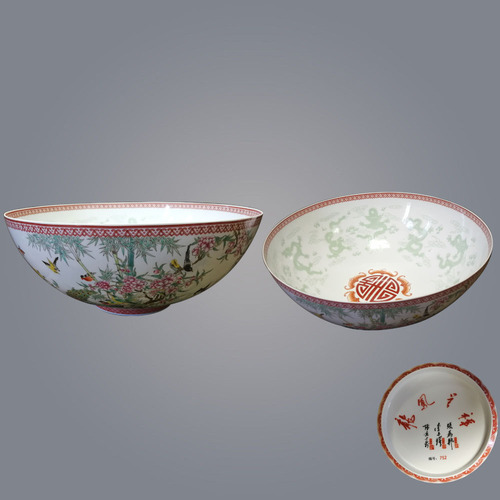 When the phoenix comes, the country will be peaceful and the people will be blessed.One it is, all the beasts of the king is the king of the birds, the good cooperation between the two, into "in extremely good fortune", "auspicious longfeng star" heavy powder enamel thin foetus bowl picture the Lord for the birds pay homage to the king, painted flowers and birds have a phoenix, peacock, cranes, ribbons, magpie, swallows, yuanyang, phoenix tree, peony, Chinese rose, lotus, lotus, such as more than 100 kinds of birds and flowers, the lining for pile of carving craft in delight, Kowloon three-dimensional design, Kowloon form is the dragon, dragon, dragon, billow, Kowloon take-off, different expression.Symbol of wealth, rising developed.Inside the bottom of the bowl for the five bats and longevity, meaning wufu holding longevity, nine five.His works repeatedly use painting, color, filling, washing, picking, blowing, point and other techniques for porcelain painting creation, it is very difficult, is master zhang jingshou 80 years of art career summary, with a high appreciation and collection. Longxingtianxia: "dragon", xingfengzuyu, is the dignitary, the symbol of dignity;"Wishful", everything goes well, everything goes well;"Peanuts", promotion and wealth.The whole meaning is "the world of dragon travel, career take-off, plain sailing, exhibition". 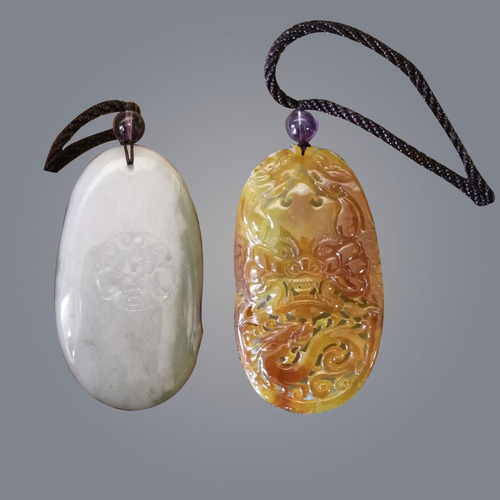 Total quality of the collection: 104.0780g.Longxing world jade pendants, jade and run natural, carved, beautiful huan, lifelike, coupled with the quality of high-quality jade, natural by the market, with a certain collection value.